Are you interested in joining our NAGIA team? Please visit the Membership page for complete details and a membership form. Remember membership is not for individual members, but for state and/or regional associations. We look forward to hearing from your association! 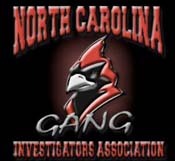 For additional details on the current NAGIA Member Associations please select a Gang Investigators Association from one of the Associations' logos listed below. To help provide a network for law enforcement and criminal justice professionals who share a goal of preventing, intervening and suppressing groups whose intent is to break the law. This mission will be carried out by providing and increasing networking and training opportunities, encouraging the development of progressive training for investigators, promoting legislative awareness and advocating for effective multi-agency relationships for law enforcement. The Arizona Gang Investigators Association is a multi-agency law enforcement group that provides an opportunity for local, county, state, and federal law enforcement professionals to exchange ideas and to develop effective gang crime reduction strategies. We accomplish these goals through training, networking and publications. The California Gang Investigator's Association was founded in 1977 to foster better relationships and networking among the various investigative units working street gangs in Los Angeles County and throughout the state of California. Over the years the Association has grown to include members across the nation and in Australia and Canada. Membership is limited to all law enforcement officers including corrections, prosecutors, parole, and probation. The East Coast Gang Investigators Association was started over a decade ago with a vision, to develop a multi-faceted forum to share intelligence on criminal street gangs. That forum grew into a highly respected organization who, through its short history, has partnered with a host of other law enforcement agencies, which include, MAGLOCLEN, the National Narcotic Officers Associations Coalition, and the National Alliance of Gang Investigators Association, to name a few. The Florida Gang Investigator’s Association was formed in 1993, by criminal justice professionals, to promote and facilitate the exchange of gang intelligence and information among those professionals actively involved in the investigation and prosecution of criminal street gangs, prison gangs, extremist groups, supremacist groups and their membership. The main goal of the Association is to effectively and positively impact and ultimately eliminate the effects of gang violence and gang related crimes perpetrated by gang members whose actions adversely affect and constitute a threat to the public. Our Association was created in 1999 when several law enforcement personnel understood that the Gang Culture had made it into our beautiful state. The goal of this Association is to expand the awareness of all types of Criminal Street Gangs to parents, teachers, other youths, and even law enforcement officers on key things to look for, in identifying if someone may be in a gang. The mission of the ILGIA is to effectively respond to the proliferation of gangs in our society, especially in the Chicano/Latino community. 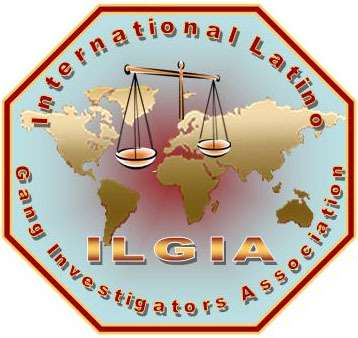 ILGIA also aims to increase the awareness of gangs, to assist law enforcement, and related agencies in a cooperative effort to combat gang activity in all areas where it exists. These groups not only operate in Mexico, causing death and destruction of communities there, but also in the United States and abroad. ILGIA has some of the most accurate and updated information available on these groups, including safety and security concerns, as they directly effect law enforcement and corrections. We get our information from our members and credible sources on current security threats and gang activity with the vast majority of sources being law enforcement and corrections officers who work the front lines daily. The International Outlaw Motorcycle Gang Investigator’s Association is a professional training organization made up of federal, state and local law enforcement and prosecution personnel. 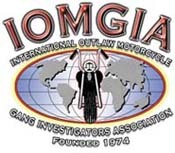 Originally formed in 1974 as the IOMGIC (International Outlaw Motorcycle Gang Investigator’s Conference) in San Diego, California, it served as an educational organization, with its goals to improve the investigative skills and information exchange among its charter members. The purpose of the organization is to provide a conduit for information exchange, updated training, and international network building among its estimated 600 members. 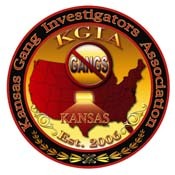 The mission statement of the Kansas Gang Investigator’s Association (KGIA) is to increase the awareness of gangs and gang activity within the State of Kansas and to assist law enforcement and other related agencies in recognizing and combating gang activity. The KGIA is committed to providing current information and establishing a network between the KGIA membership, fellow associations, law enforcement agencies, and the State Legislature. The Mid-Atlantic Regional Gang Investigators Network, formally known as Washington/Baltimore Metropolitan Area Regional Gang Investigators Network. MARGIN is an organization consisting of federal, state and local law enforcement/criminal justice officers, representing agencies from throughout Maryland, Virginia, Washington, D.C. The primary goal of the network is to enhance officer safety by providing relevant gang information to law enforcement officers and for the overall public safety. The Midwest Gang Investigators Association (MGIA), formed in 1987, is an organization representing 10 states throughout the Midwest, (Nebraska, Minnesota, Iowa, Missouri, Wisconsin, Michigan, Indiana, Illinois, Ohio, and Kentucky with over 2,000 members. It provides a collaborative association whose mission is in developing and recommending strategies to prevent and control gang crime, administer professional training as well as assist criminal justice professionals, educators, probation/parole, and the public regarding gangs in their communities. The NCGIA is an association of law enforcement and criminal justice professionals who are dedicated to the prevention of gangs and suppression of gang-related activity within the state of North Carolina. Through enhanced inter-agency intelligence exchange, legislative activism, citizen awareness, innovative anti-gang operational tactics, and by providing professional education and training, we play a significant role in creating a safer environment for residents of and visitors to this state. The NWGIA was founded in 1994 by Law Enforcement gang officers. They saw a need to provide quality training and services to the Pacific Northwest. The original NWGIA was made up of members from Oregon, Washington and Idaho. Montana joined in 1996. Over the last 17 years, the NWGIA has become a strong provider of gang training for our members and member agencies. The Oklahoma Gang Investigators Association is a non-profit organization consisting of law enforcement and law-enforcement related professionals whose mission is two-fold: to share gang intelligence among our law enforcement members, and to educate the public to the violence associated with gangs. OGIA began in 1993 with a dozen dedicated police officers who met and shared intelligence regarding gang activities in their respective jurisdictions. ONGIA is a non-profit organization that is committed to addressing the street gang phenomenon. ONGIA consists of law enforcement professionals and members of the criminal justice community throughout Ontario, Canada and North America. The mission of RISS is to support law enforcement efforts nationwide to combat illegal drug trafficking, identity theft, human trafficking, violent crime, terrorist activity, and to promote officer safety. The S.C. 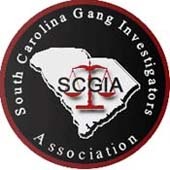 Gang Investigators’ Association (SCGIA) is a professional organization that is composed of more than 275 criminal justice professionals from throughout the state. They are dedicated to the prevention, intervention, and suppression of criminal threat groups, extremist or terrorist groups, and outlaw gang activity within South Carolina. STING is a state wide organization whose mission is to disseminate intelligence and monitor the activity of street gangs while they are on our streets, in our jails and in our prisons. The nature of the criminal activity conducted by these groups is increasingly becoming more visible. STING was formed to meet the growing need for more pro-active law enforcement activity. The TNGIA Mission is to provide a network of trained and organized law enforcement officers united against groups whose intent is to break the law. Our tools include our unity in the fight against organized crime, the laws of the State of Tennessee and the United States of America, and the education we provide to the community. We support all members of the united front, and are here to serve you in any way we can. 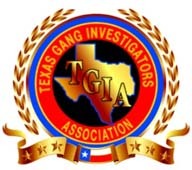 The TGIA (Texas Gang Investigators Association) has been serving the Texas community since 1991. The Association was founded by a small group of officers charged with the investigation of street gangs, prison gangs, organized crime, and their related criminal activities. Today, membership in the Texas Gang Investigators Association numbers over 1,490 members from across Texas and the United States. The TGIA was formed to promote a closer working relationship among gang investigators both statewide and nationally with a view towards the rapid dissemination and exchange of information concerning gang related incidents, suspects and investigations. 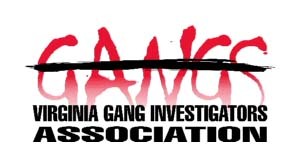 In response to the ever increasing gang problem plaguing our nation and state, concerned criminal justice professionals from Virginia began what is today the Virginia Gang Investigators Association. Chartered February 1997, The V.G.I.A. is a non -profit organization made up of law enforcement officers and other members of the criminal justice community. The V.G.I.A. promotes a closely coordinated relationship among gang investigators through extensive and rapid dissemination and exchange of information about gang-related, cult and extremist group activity. The V.G.I.A. supports new techniques from identification and apprehension of gang members and encourages legislation related to the reduction of gang related crimes. Additionally; the V.G.I.A solicits public support of its goals so the citizens might be educated about the prevention regarding organized criminal activities, tactics, philosophies, etc., to its members and any other law enforcement agency upon request.